Over $125,000,000+ in sales transactions. Ranked #45 in individual Average Sales Price Nationwide, in addition to #265 in individual Sales Volume within New York State, by the Wall Street Journal. In today's real estate market, it is especially important to work with a professional who makes his clients top priority, and really looks out for their best interests. Alex Heydt is that agent. 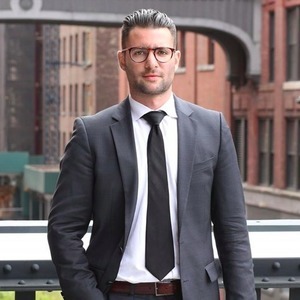 Highly knowledgeable, extremely dedicated and ever accessible, Alex treats every client like family, giving the best service and straightforward guidance needed to successfully navigate the complex Manhattan market. With over $125,000,000+ Million in individual closed sales transactions Since entering residential and commercial real estate in 2008, Alex has excelled in every area of the business. His hard work and outstanding performance have been recognized not only with awards, but with the loyalty and thanks of many satisfied clients. In 2015 Alex was ranked #45 in individual Average Sales Price Nationwide, in addition to #265 in individual Sales Volume within New York State, by the Wall Street Journal. Prior to joining his previous firm, Alex also partnered in creating an accomplished team The Heydt Group specializing in residential rentals and sales; commercial retail, restaurant/nightclub and office leasing; property acquisition, syndication and investments; design, space planning and renovation; plus on-site marketing of boutique residences. A native New Yorker from Rockland County, Alex hails from real estate family. He studied Communication at The University at Buffalo before returning to the city and selling its great lifestyle. Alex currently resides in Gramercy. He focuses on all Manhattan & Brooklyn neighborhoods Specializing in Condo, CO-OP and Townhouse/Multi Fam Sales. Alex provides his clients with not just his expert services, but the services of an extensive referral circles ranging from Contractors to Expeditors. Whether a studio or an exclusive townhouse sale, each client's goals are equally respected and handled with great care. In working with his diverse range of clients, Alex believes that to push is to pull away. He strives only to offer information without any pressured decisions, and to make the real estate process seamless and rewarding. Outside of work, Alex loves to eat out at different restaurants, share tips on where to go out in the city, and watch and play sports whenever time allows.